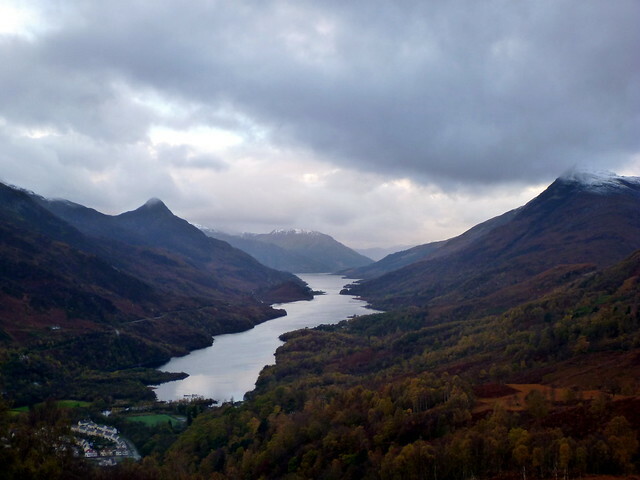 The long-anticipated Kinlochleven meet had finally come along. 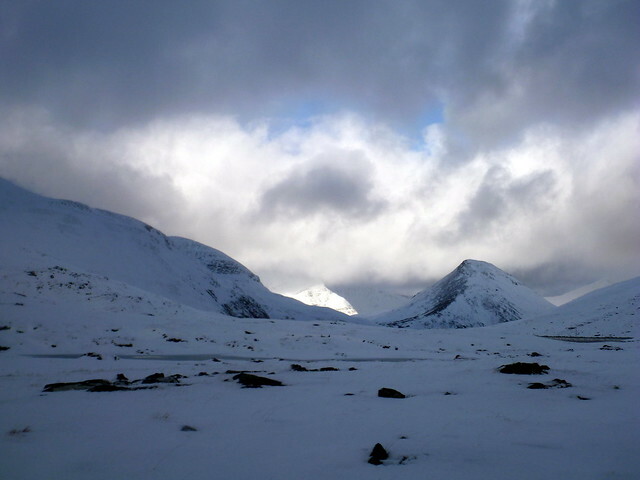 Weather had been pretty terrible in the preceding few days and the forecast was not the most encouraging. But it was going to be 3 days away in the hills with good company, so no need for concerns. Sick Kid and myself went up to Blackwater Hostel on Thursday evening, meeting up with Gill, Martin, Barry and Colleen who had shown similar enthusiasm by arriving a day early. Whisky was drunk, pool was played and plans were laid for the following day. 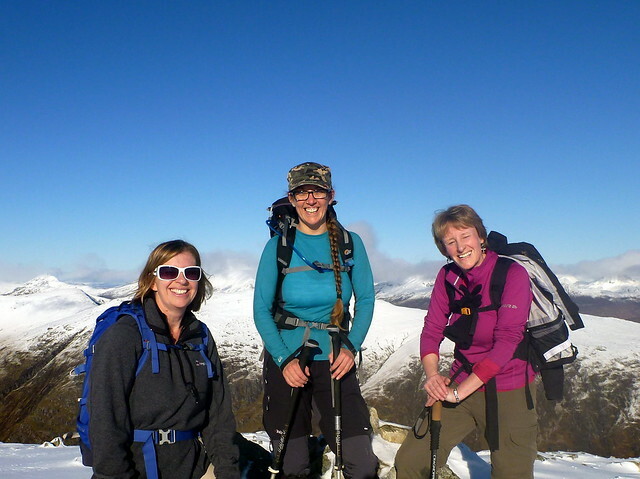 There was a large group going to meet up and climb Beinn Sguilard, but myself and the Sick One, joined by Rum Truffle (Sue) were going to tackle at least 2 of the Eastern Mamores. 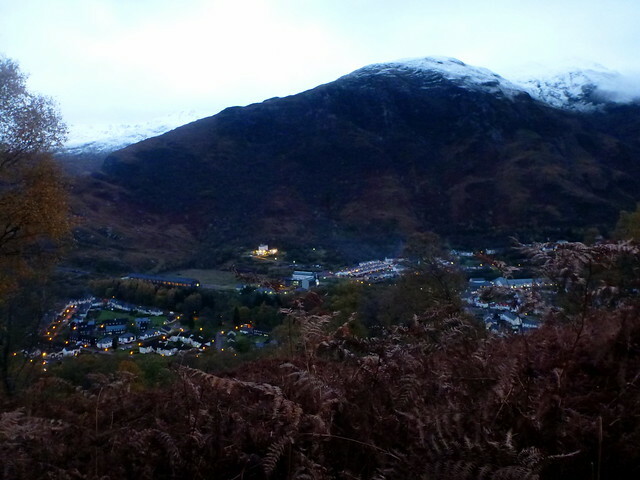 Up early on the Friday morn and off into the streets of Kinlochleven. I always like being able to start a walk from your front door, without having the hassle of driving anywhere. 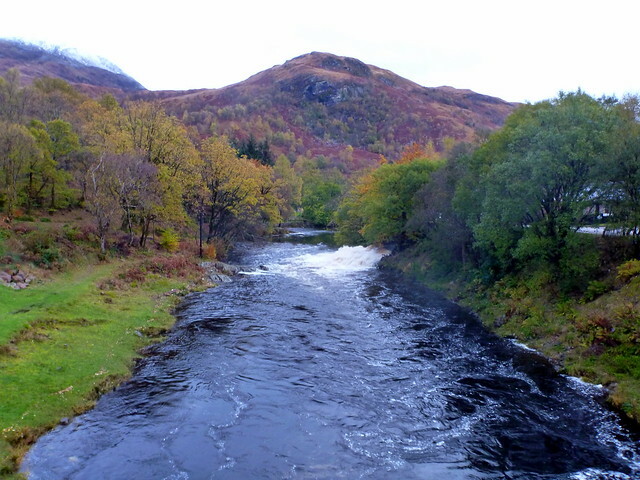 The river was swollen as we crossed the bridge past the Hostel. 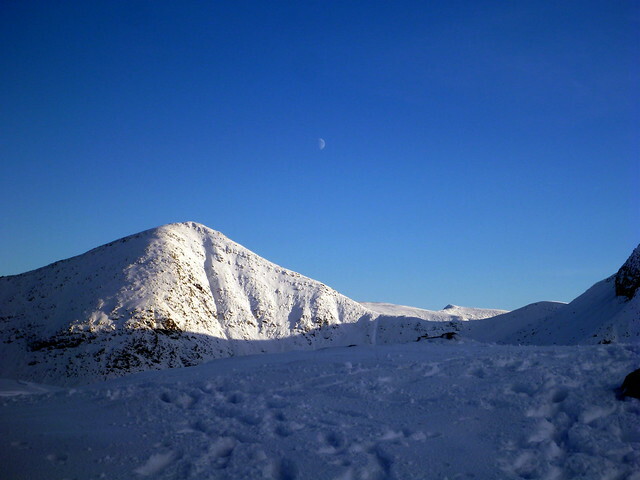 Up to St Paul’s church and into the woods by the Grey Mare’s Tail, which we could hear splashing nearby but didn’t see. 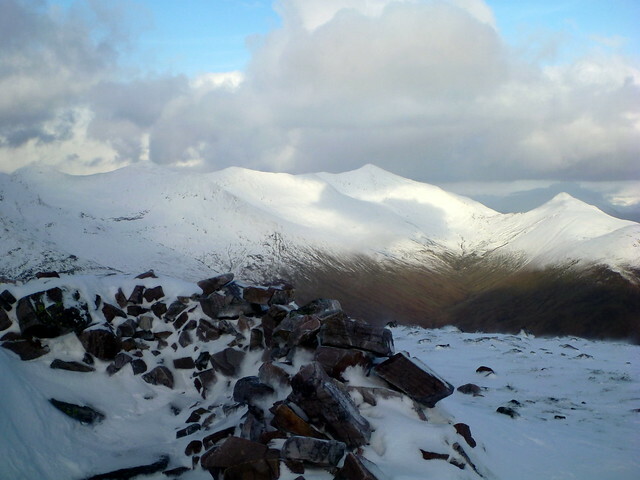 It’s a long walk up the track along An Cumhann, with numerous sub-paths diverging and meeting back up with the main one. 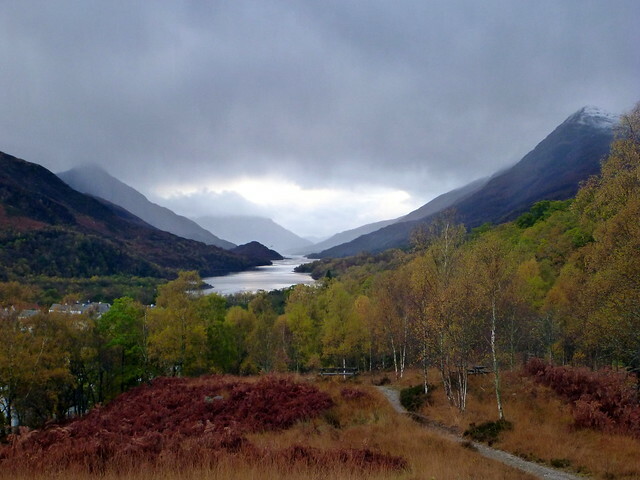 Good views back down the loch. 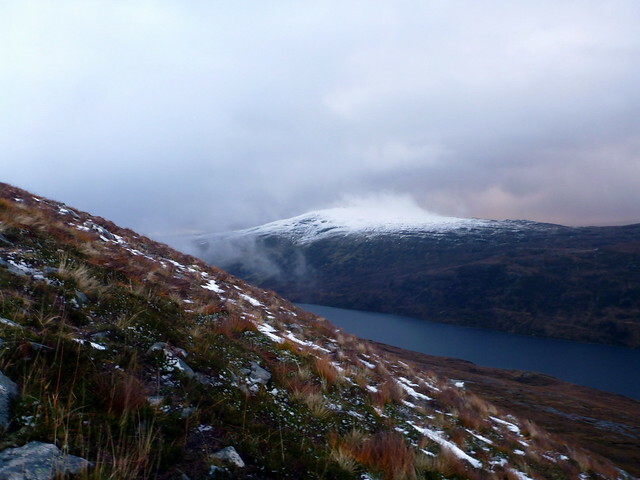 Round the south side of Leachd na h-Aire, we could see the flank of Sgor Eilde Beag ahead, with Loch Eilde Mor emerging from mist to our right. 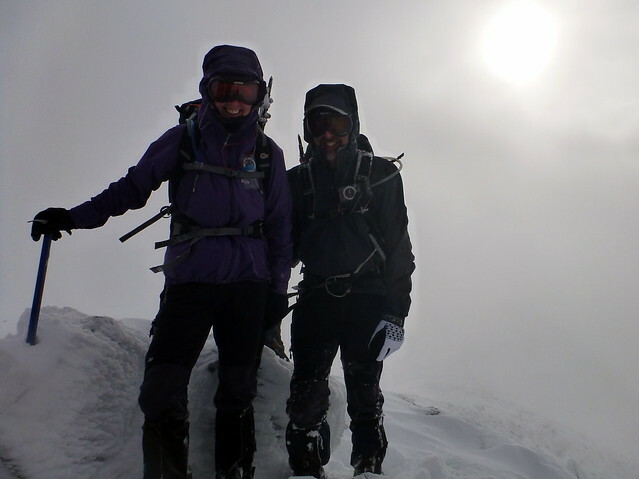 We encountered snow as we made the “shelf” of Coire an Lochan, deep snow up to knees in places. 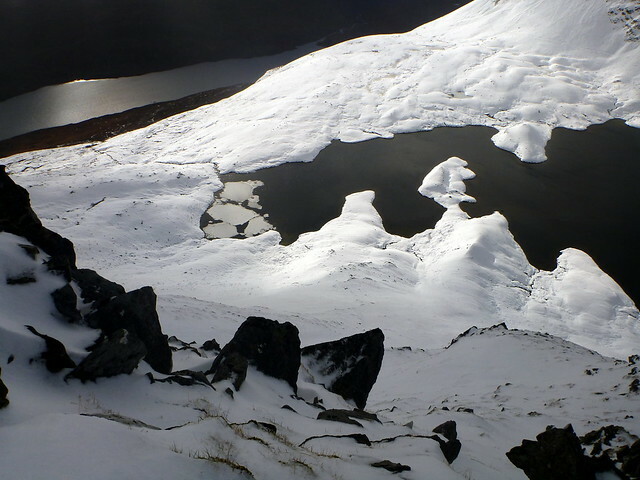 We decided to head straight eastwards to the south slopes of SEM and ascend from there rather than traipse round the lochan as my route suggested. 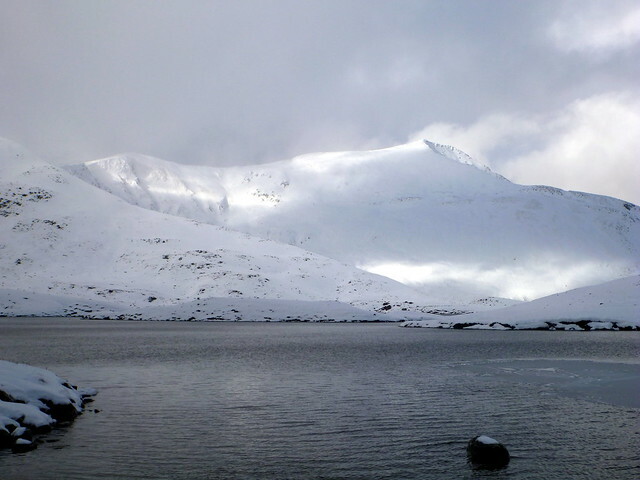 To the north were views to Binnien Beag, our next target and across the dark lochan waters rose the more imtimidating bulk of Binnien Mor. Maybe for today too, maybe not. 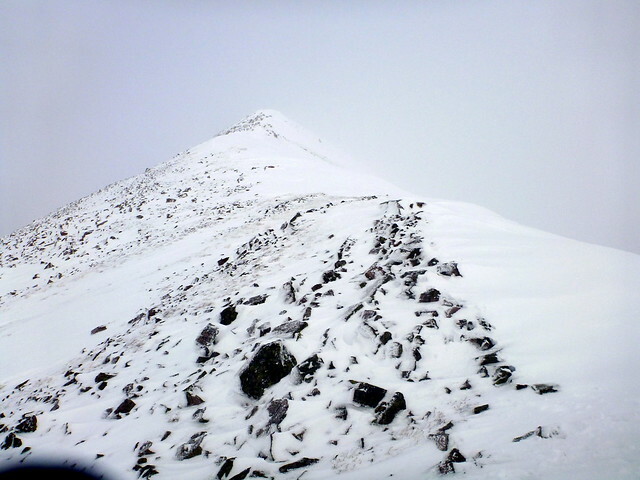 The climb up was steep in places, with mostly soft snow impeding progress – I’d forgotten just how much extra effort it takes to break trail and kick up through snow. 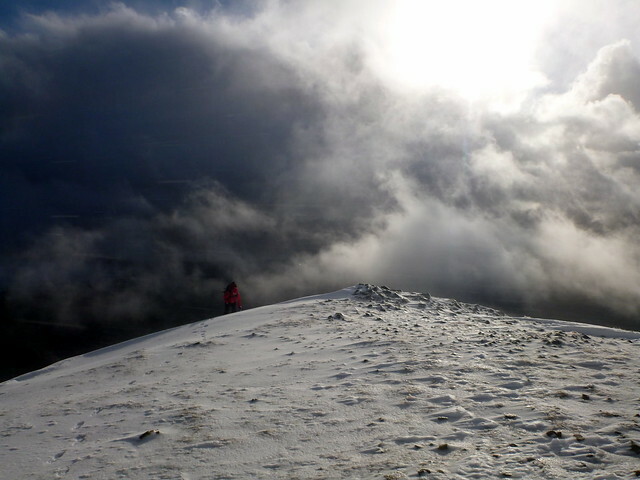 The wind was biting on the summit as I sat and waited for the others to join me. 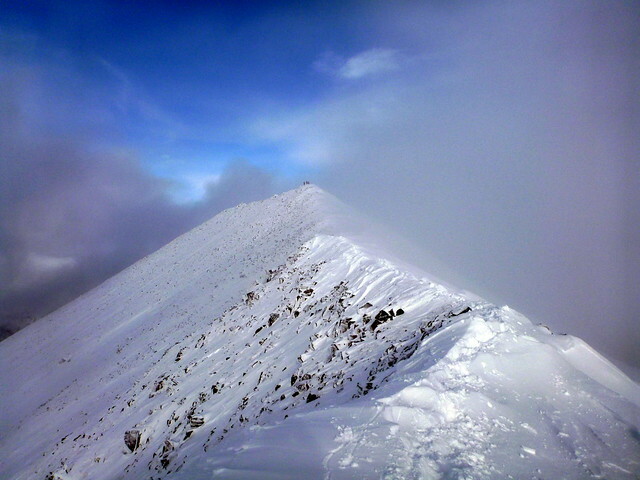 Sue had climbed this hill before in thick clag and missed out on the summit cairn, so she was able to lay proper claim to an ascent this time round. 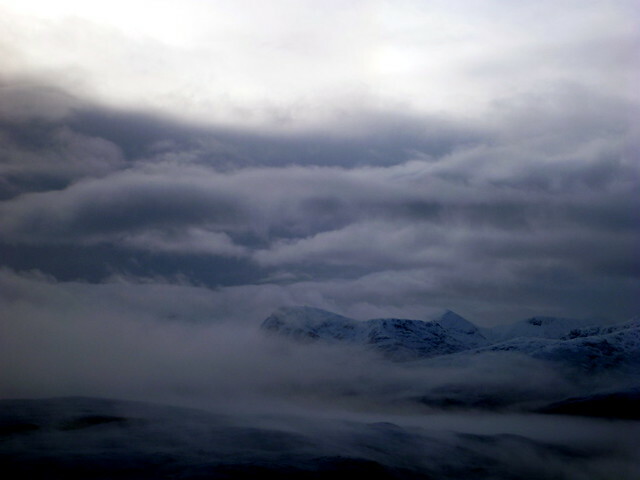 We had reasonable views of the neighbouring Mamores and up north to the Grey Corries. 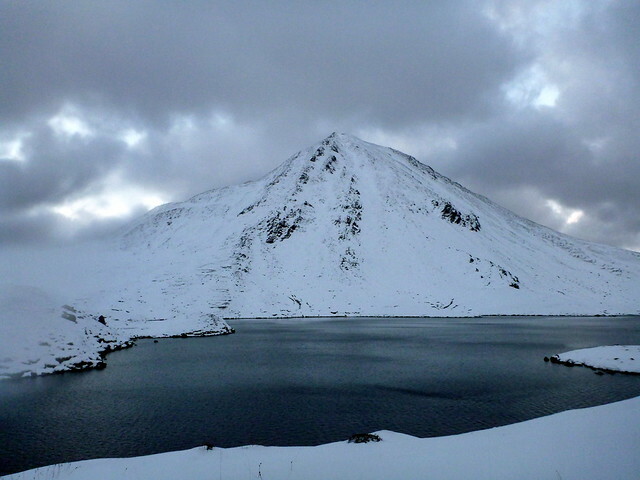 Most eye-catching was the black waters of Coire an Lochan, which looked unreal, like an enormous jigsaw piece lain on the surrounding snow. 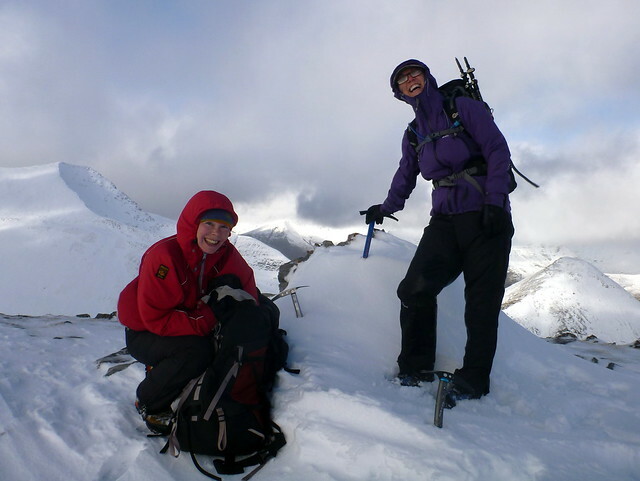 We headed off down the steep western ridge which provided some pleasing scrambling in snow before descending the gentler slopes to the north. This provided some entertaining bum-slides – the first of the season. 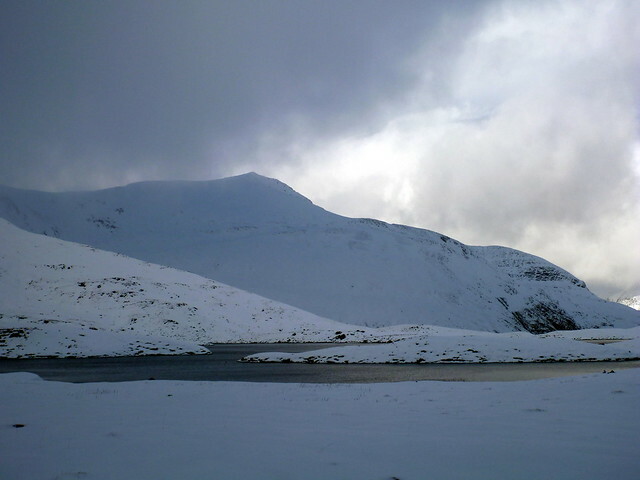 It’s a bit of a traipse down to the river crossing in Coire an Bhinnien, a lot of height to lose. 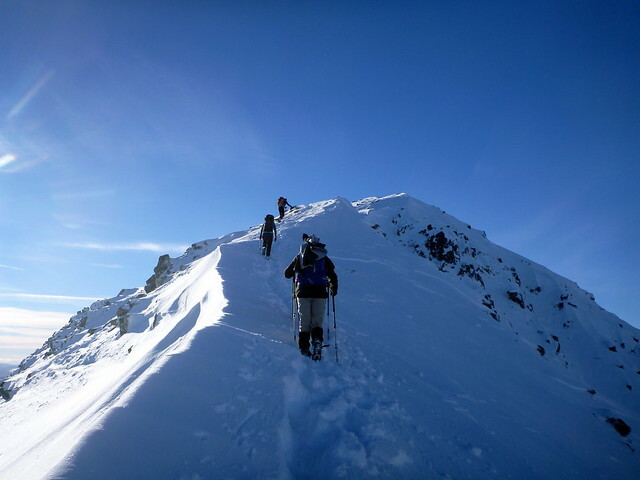 Despite the enjoyment of slipping down fast on the derriere, I knew it would be something of a slog having to come back up this way. 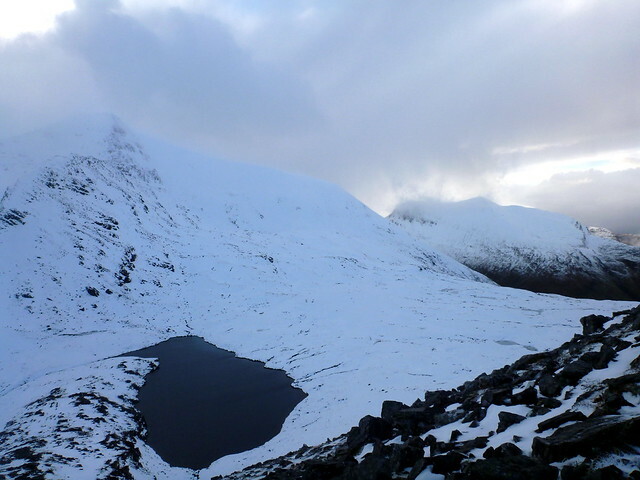 The track up the lower flanks of Binnien Mor rises gently up to a bealach between Mor & Beag into Gharbh Coire, where another lochan from outer space lay. 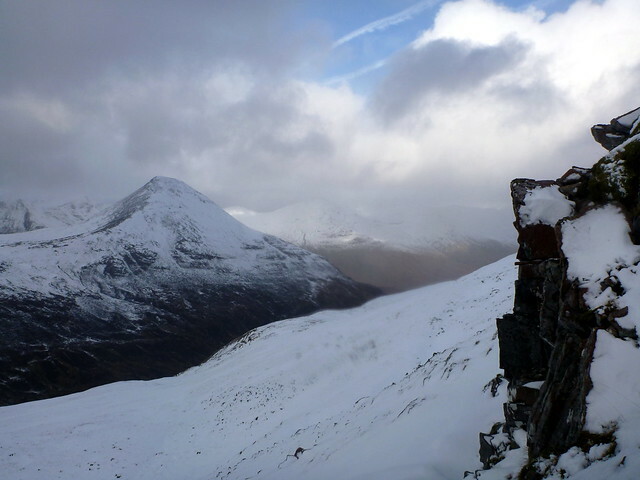 Up the snowy /rocky slopes to Binnien Beag, having to watch for overhanging rocks before making the summit. 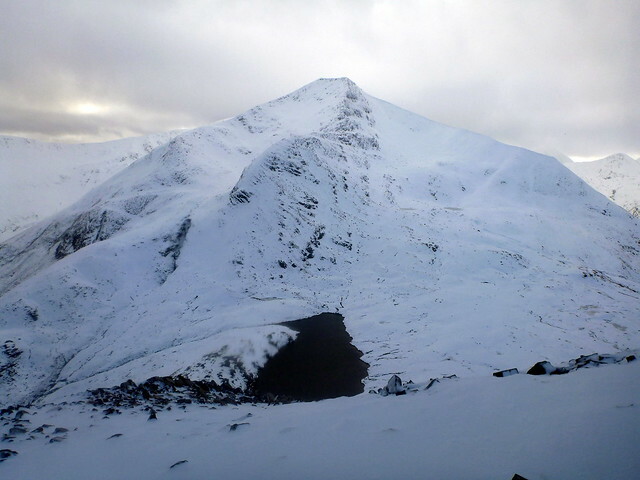 From up here, the north face of Binnien Mor looked rather challenging and a bit too much of an avalanche risk given the recent dump of snow. 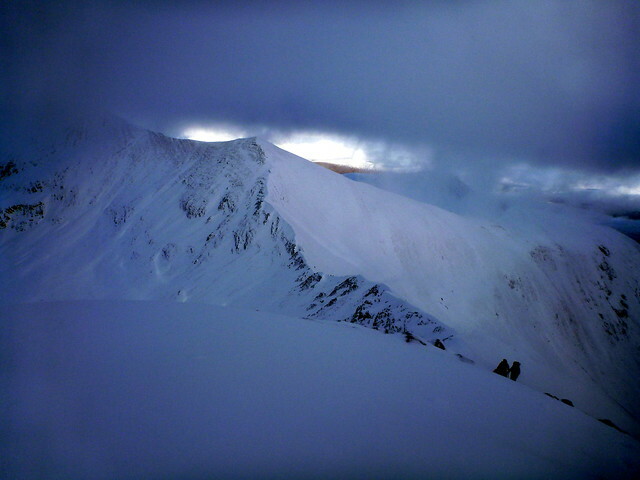 I was stil keen to get up there and scanned the Sron a Gharbh Coire and the gentler looking shoulder to its south, looked do-able, but time was beginning to turn against us. With some mumping from me we agreed to head back the way we’d come and save Mor for tomorrow. 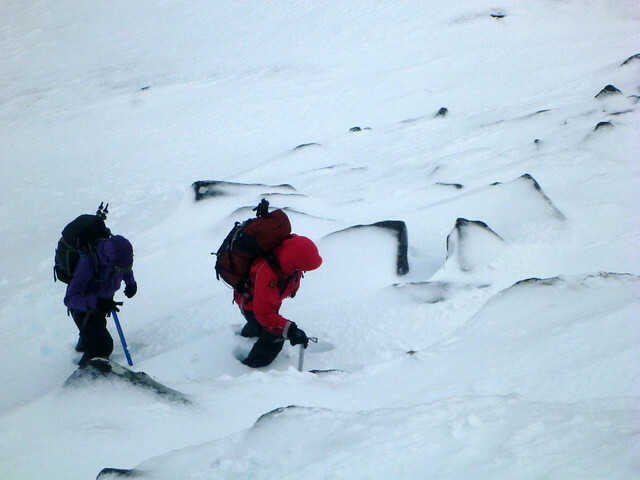 The slog back up to the “shelf” of Coire an Lochan was only just over 200m but the soft, wet snow was drudgery to break through. 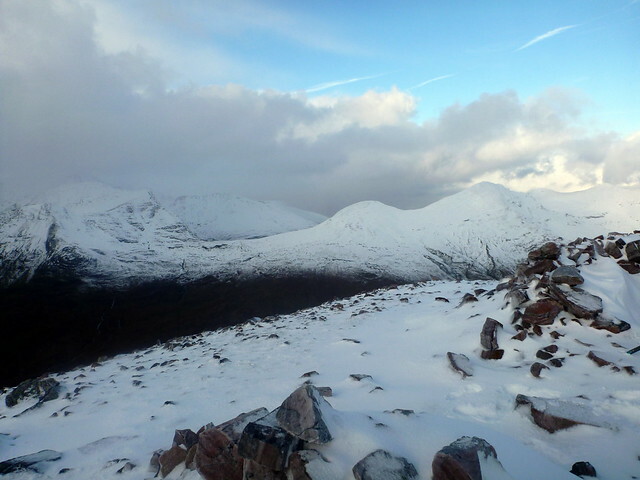 By now my boots were wet from snow having got up inside my gaiters, probably when bum-sliding and I was getting a bit miserable. 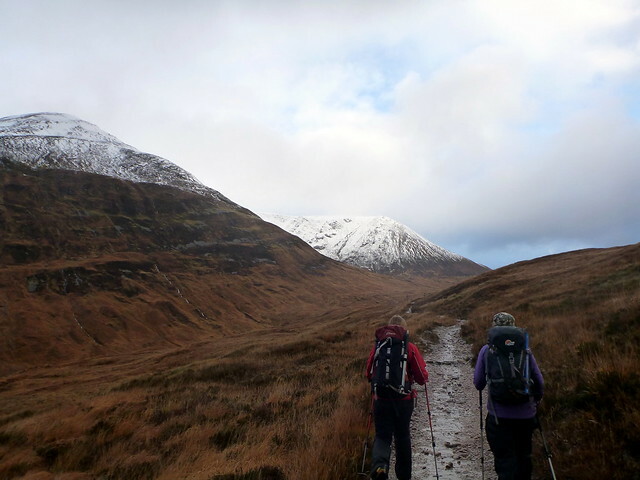 We still had a long way to go, and the route along the eastern flank of Sgor Eilde Beag, above the lochans, was slippery and quite gruelling to tired legs. 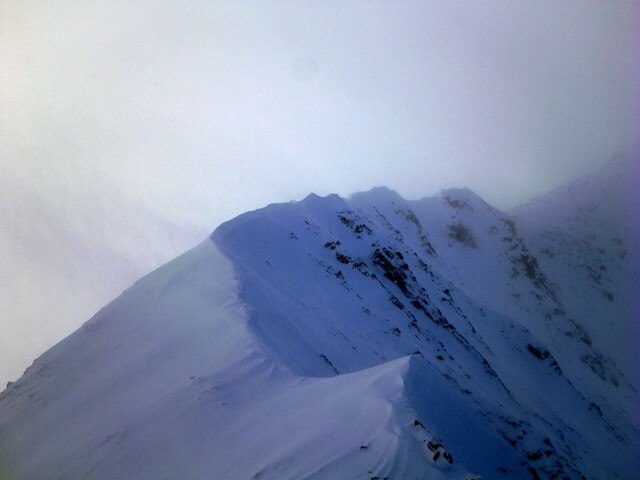 We passed a couple of areas where there had been localised avalanches. 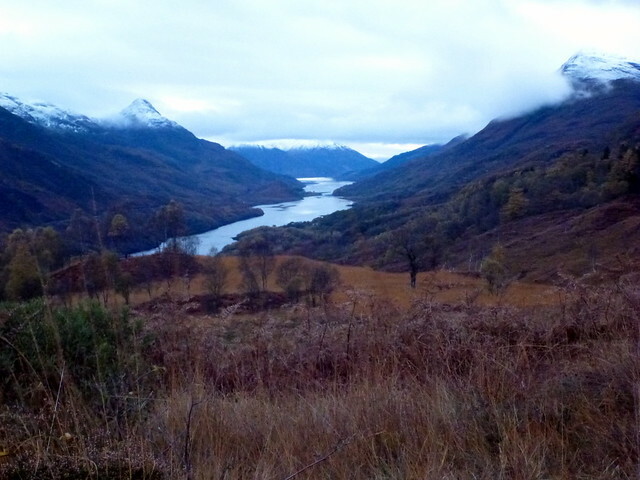 After an awkward-on-the-knees descent we got back to the path that we’d taken on our ascent and headed back what felt like long miles to Kinlochleven, with head-torches on for the last half hour or so. Back to the Hostel at around 6 after almost 10 hours out on the hill, the place was full of folk up for the meet, and it was great to put people to names and have a blether. I was too tired to take up the suggesting of heading for the pub, but a substantial minority did just that. There was a bit of discussion about routes for the next day, given a reasonable forecast, and our intended pair of Binnien Mor and Na Gruagaichean seemed to be on quite a few folks’ list. 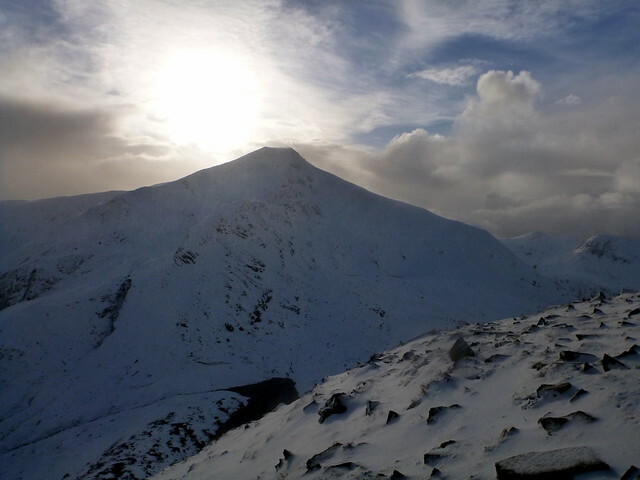 A bit later start on the Saturday and some thought about the route…I’d initially imagined going up NG from Mamores Lodge route and heading over to BM from there, but it seemed like we’d be going back up that long track towards Coire an Lochan again. 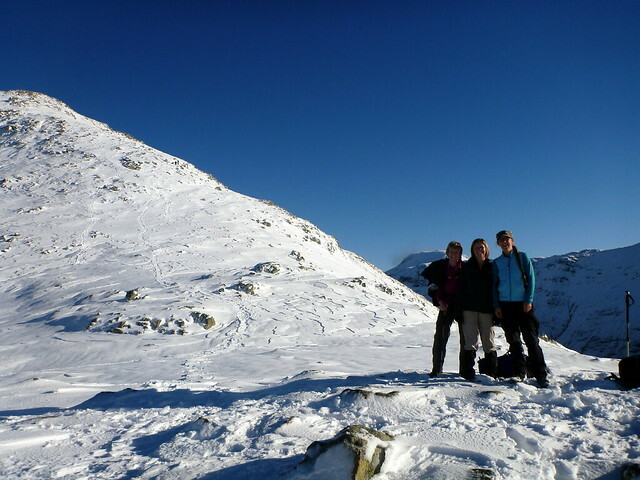 Only this time I had my winter boots on, given the amount of snow that had fallen overnight. And oh my – did my poor foot know the difference! 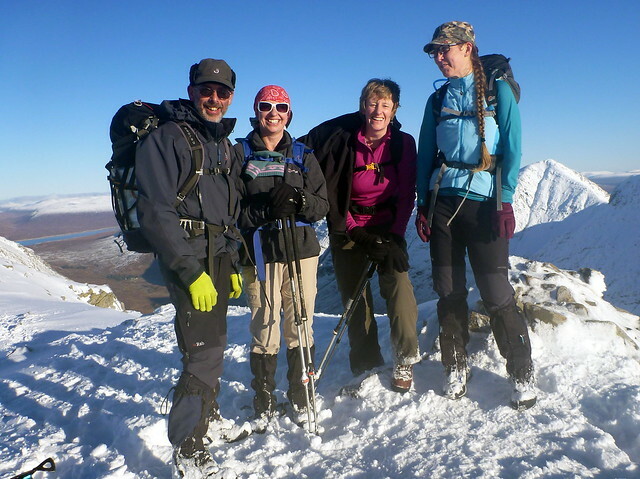 It’s not much of an exaggeration to say that each step was exquisite torture – actually it wasn’t even exquisite, it was just damn sore particularly every so often when the foot seemed to cramp up. 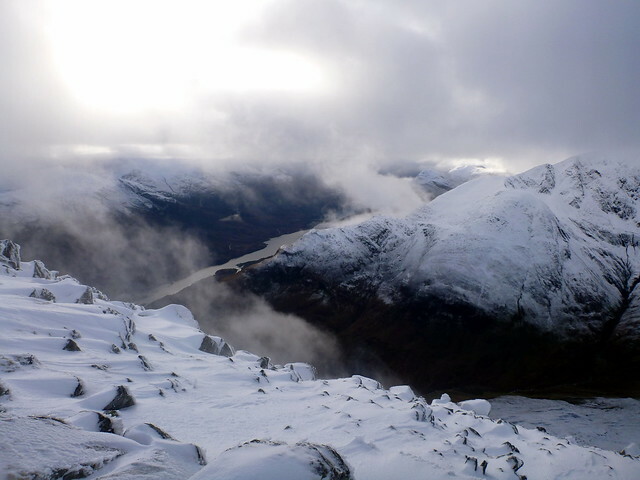 As Sick Kid will testify I wasn’t the quietest sufferer, as I moaned and gurned for quite a lot of the walk. Fortunately for the others in the party, me and her were off ahead for most of the walk, so my grumps had a relatively small audience. 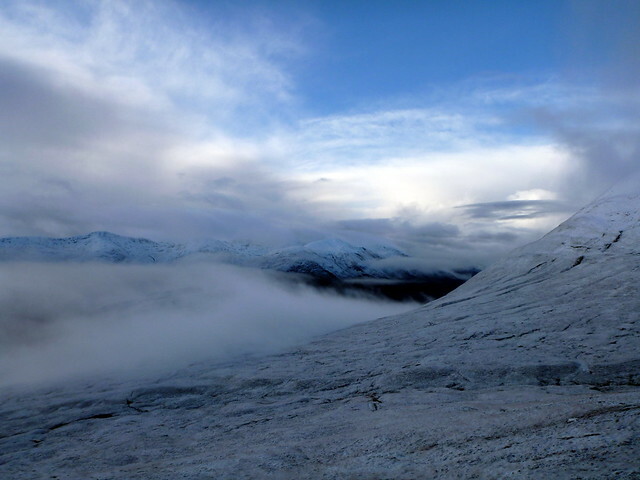 Low mists were starting to rise over the Glencoe hills as we tramped up the track. I was thinking how well you can get to know a track when you’ve gone up then returned on it the previous day wearing a headtorch. 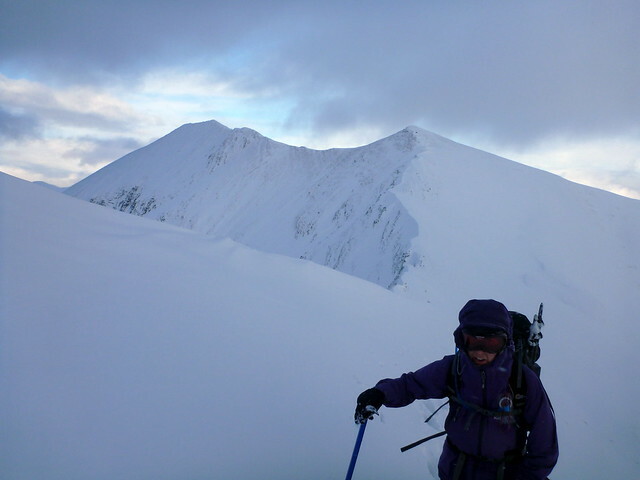 As we got to Sgor Eilde Beag I decided not to go round into “the shelf” again, knowing how much new snow was going to have been dumped there, and instead headed straight up the south-east ridge of SEB direct for the summit. 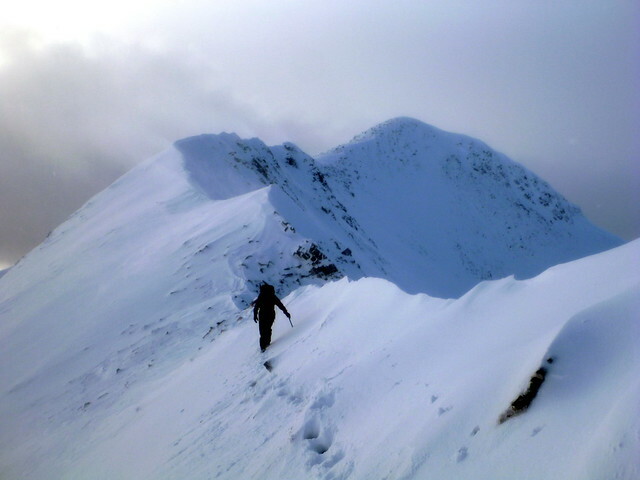 This was steep and I “enjoyed” an extended session of step kicking in the hard snow – oh joy! Four members of the party decided to call it a day rather than deal with this. 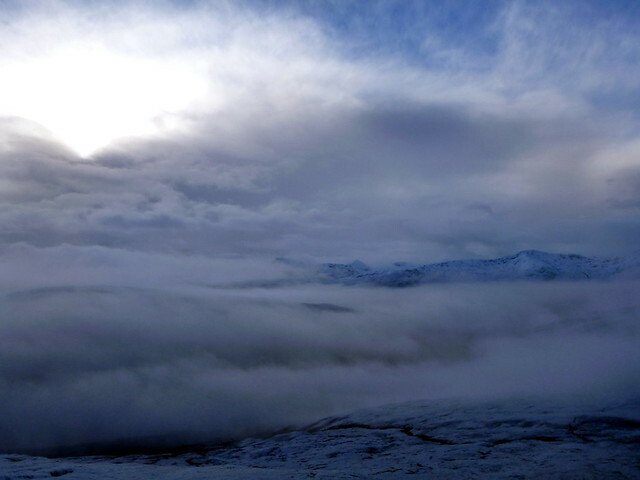 Visibility was pretty rubbish too, but we could see quite significant cornicing on the cliffs to our north. 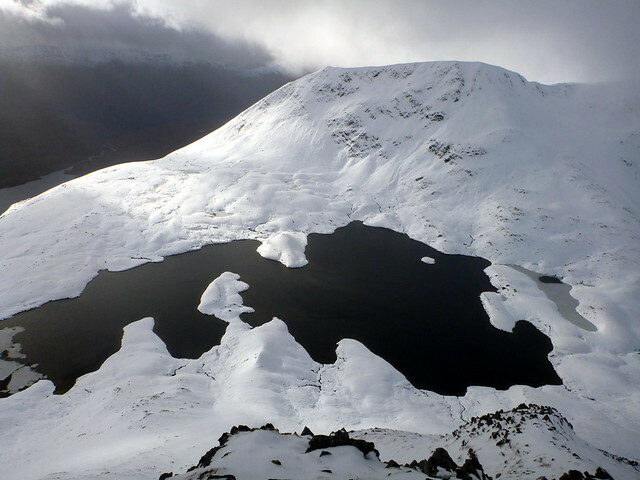 SEM looked surreal – a white pyramid atop a black lochan with a splash of sunlight illuminating it through the thinning mist. 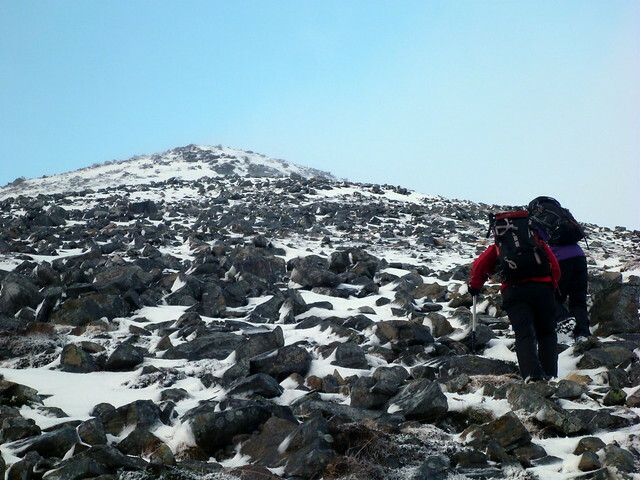 Headed along the broad ridge towards the northern summit of NG and stopped for food, putting crampons on as the snow was becoming icy in places. 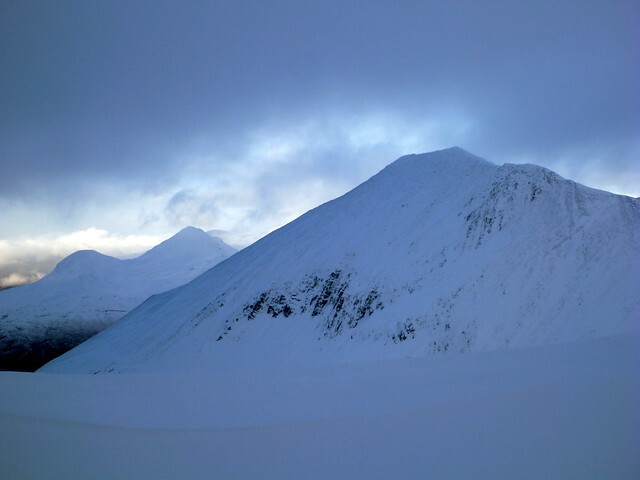 From the summit of NG there’s an elegant narrow ridge over to Binnien Mor. Towards the cairn there was a weird “gargoyle” of wind-carved snow protruding over the drop below. 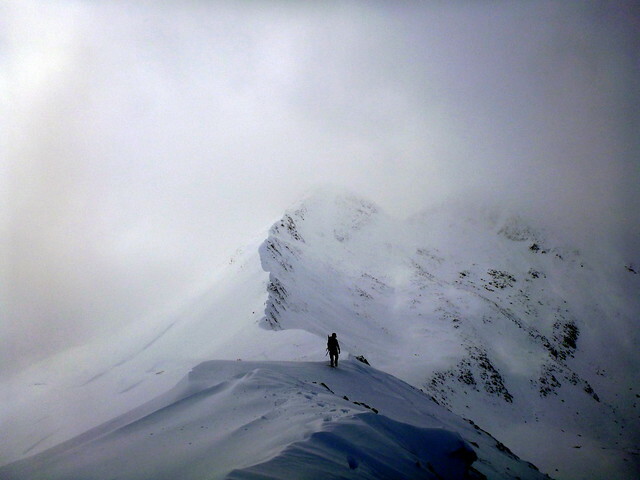 We met up with the others in the party who’d overtaken us at lunchtime then headed back along the ridge to tackle NG. 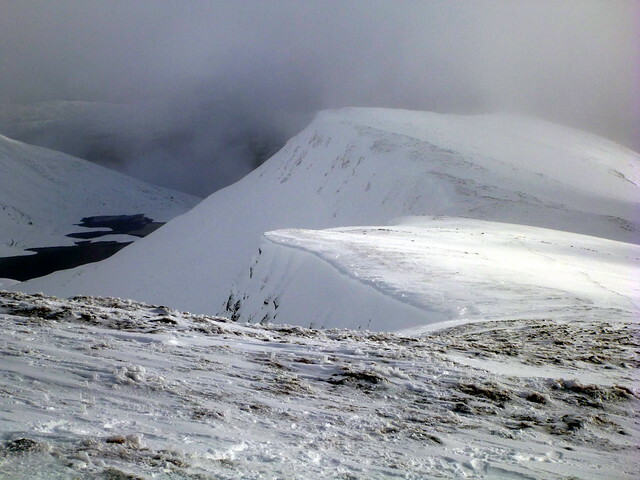 Through the clag and spindrift we could see the two tops of NG linked by a graceful curving descent which had a fair build up of snow on the eastern side. 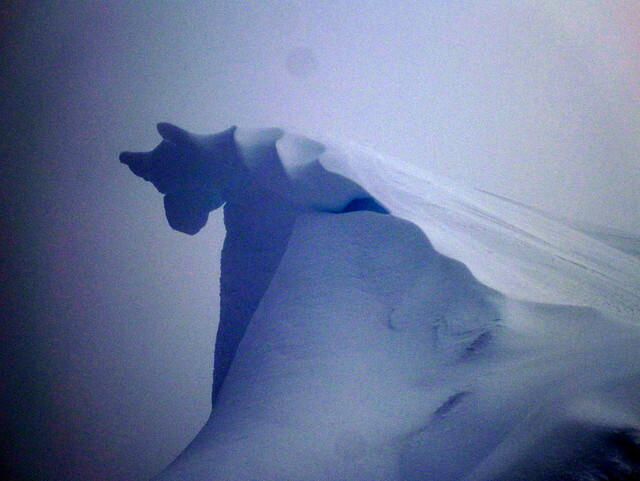 Took this ridge quite cautiously, with steep slopes below us and an uncertainty about where the cornice began. 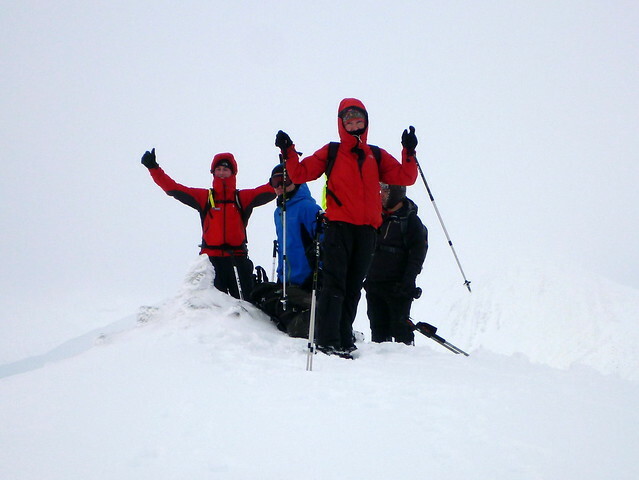 Finally made the short steep pull to the second summit for a couple of group snaps, before heading south to Leachd na h-Aire and thence onto steep slippy heathery grass to Coire Ba to our west. 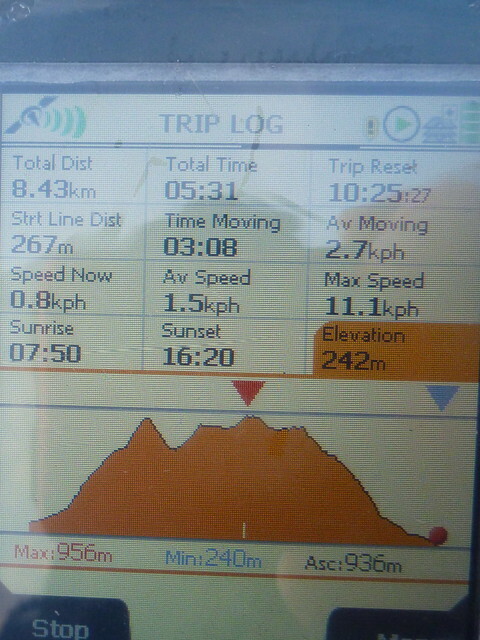 Not a pleasant descent and my moaning about my foot became more persistent (sorry, Sick Kid!). 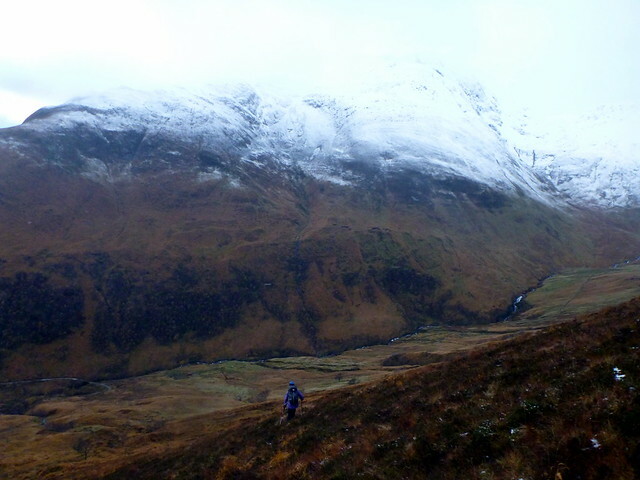 To make matters worse, we missed the little path south just before the river and ended up walking about a kilometre along the track to Mamores Lodge. Just what my foot wanted… Discovering my error, we backtracked and trudged through woods and slopes back – eventually – to the Church, with views to the village as we descended. On return to the Hostel I was sore and knackered and just wanted a shower and to get out of these boots. 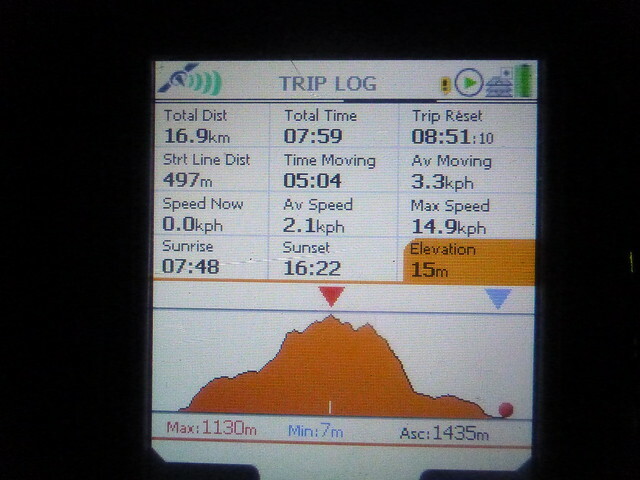 I told anyone who’d listen I wasn’t climbing any more hills – until tomorrow! Feeling thus somewhat restored I met up with the people that had arrived on the Saturday and heard the tales of other’s exploits. 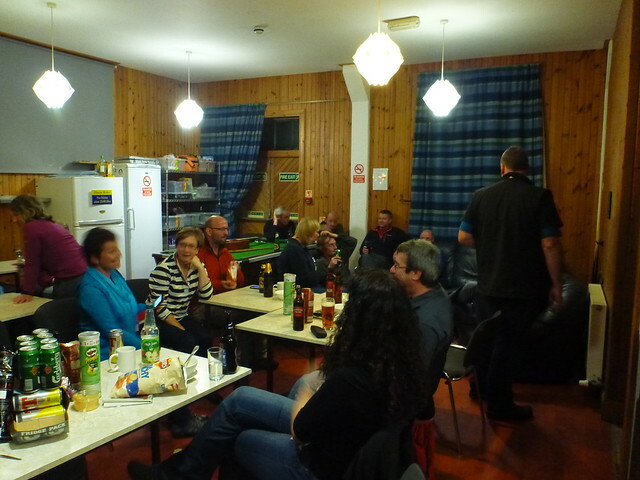 We’d decided to head over for food to the McDonald Hotel in small groups, then assemble for the quiz later on. So off we set, with PeteR and Liz & Carol for what is hopefully going to be a good meal. Which takes a small age to arrive and I find halfway through that I suddenly feel unwell – to the point of having to leave and go back to bed. And only 1 pint of beer…So no general letting of the hair down and partying into the wee hours – not sure what it was, but did still feel a bit queasy in the morning. Everyone seemed to be up and out reasonably early – thanks particularly to Val & Bod for helping with the clear up in the kitchen (and shame on those that left their scrambled egg pan for others to wash). It was an absolute peach of a day. 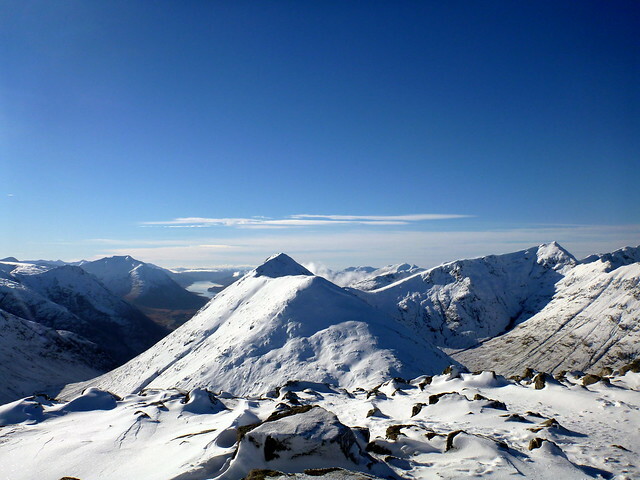 I’d originally hoped to do Aonach Mor & Beag but realised this was going to be a challenge too far for my weakened condition. Sick kid hadn’t done the wee Bookil, and Liz and Carol fancied coming along to do that too, so we headed up Glencoe for that bit of fun. 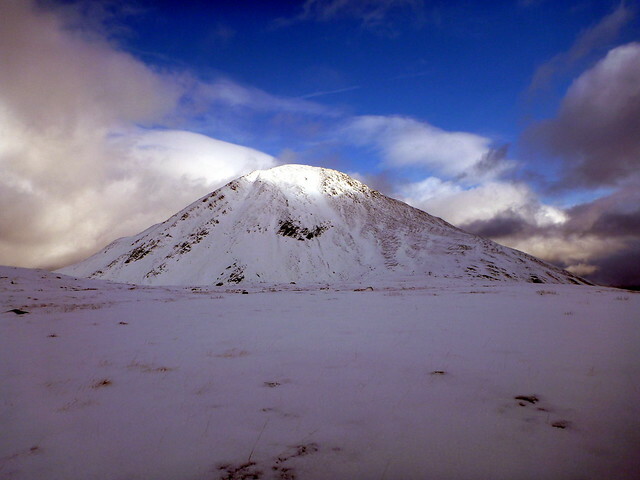 I’d climbed these hills back in April in very similar conditions – snow underfoot and brilliant blue skies. It really wasn’t much of an ordeal to go up them again. Back in my 3-season boots my foot was almost human again and the scenery was breathtaking. 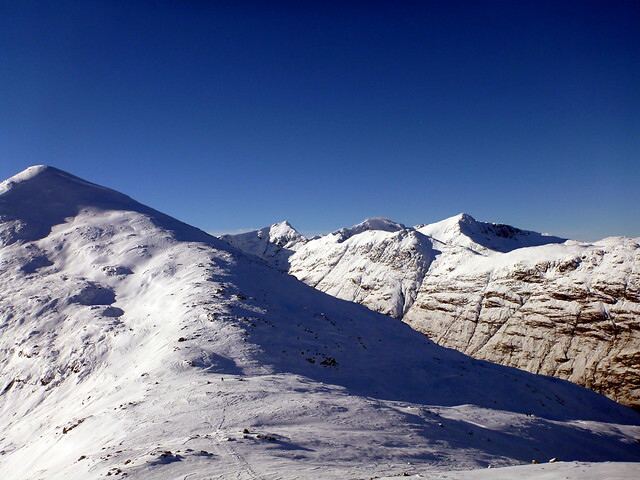 Great views over to the Aonach, just dusted with some icing sugar snow and also to Bidean carrying a much thicker coating. 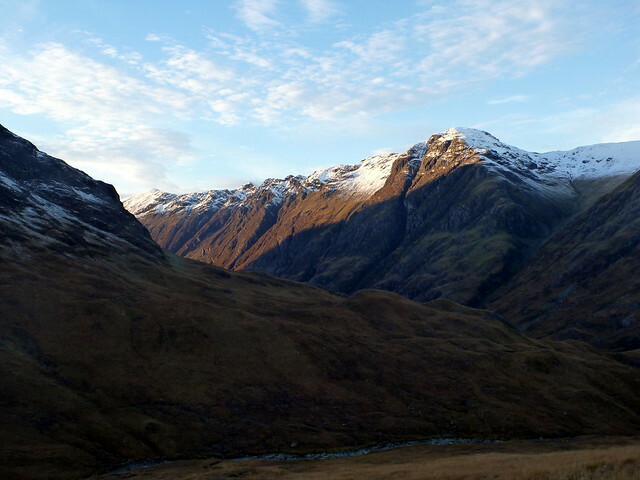 It’s a great vantage point to see the complex of peaks and ridges that make up Bidean– going some way to make up for the experience of climbing her in clag last month. 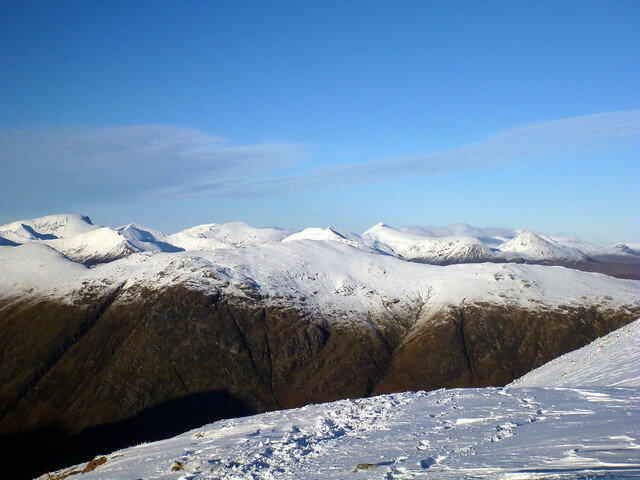 The top of Stob Coire Raineach provided excellent views south to Loch Etive and onwards to Mull and Ben More. 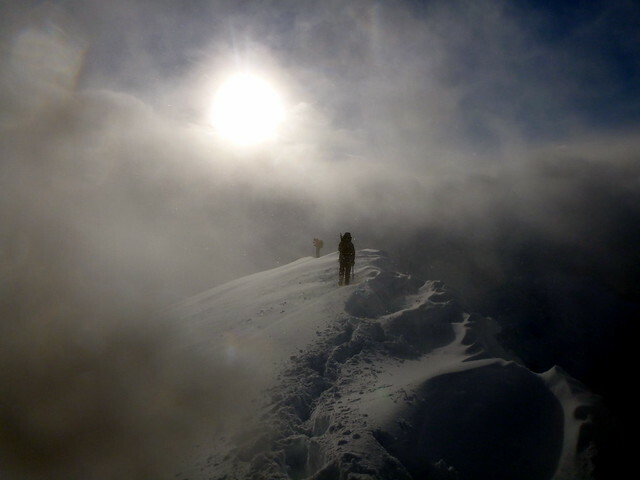 Descending in full sunshine it was almost as warm as a summer’s day, although that illusion quickly ceased on sitting for a while having lunch, as the cold seeped up into my bones. 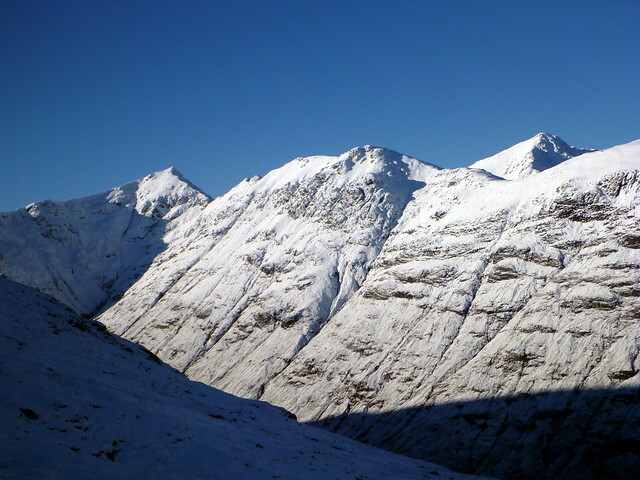 Onwards over the 902 top and a cute ridge wending to Stob Dubh which we all enjoyed. 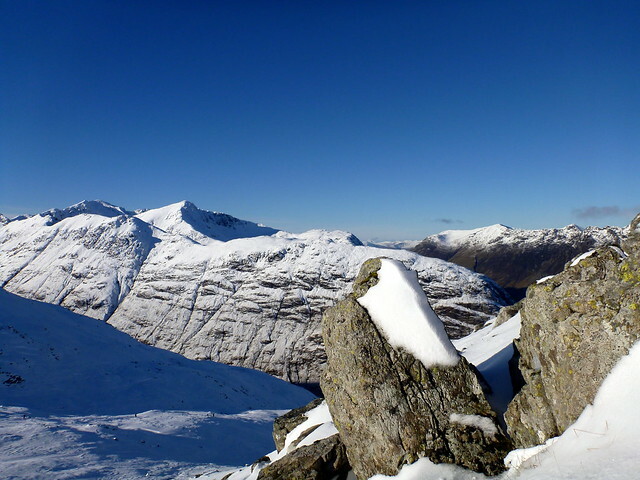 What a fine day to be out on the hills. 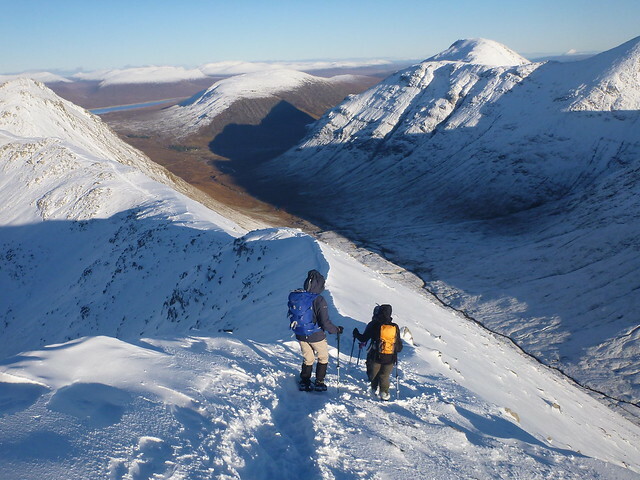 The descent along the footpath was a bit less pleasant as it was still icy and glazed in places, making the trip back to the car take longer than otherwise and with a few falls along the way. 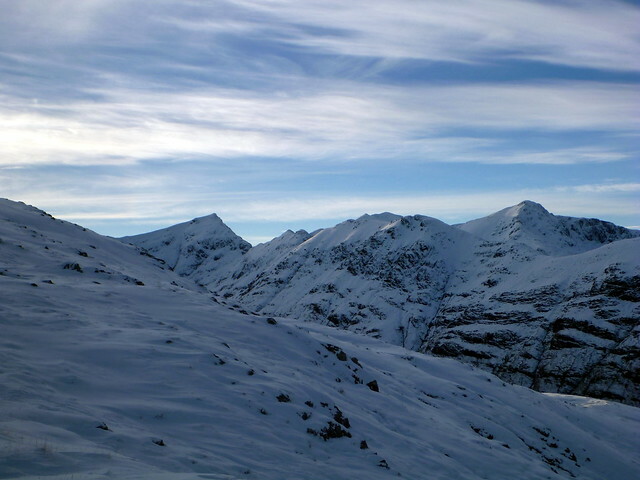 Gasda , a fine mix weather wise the weekend eh ? 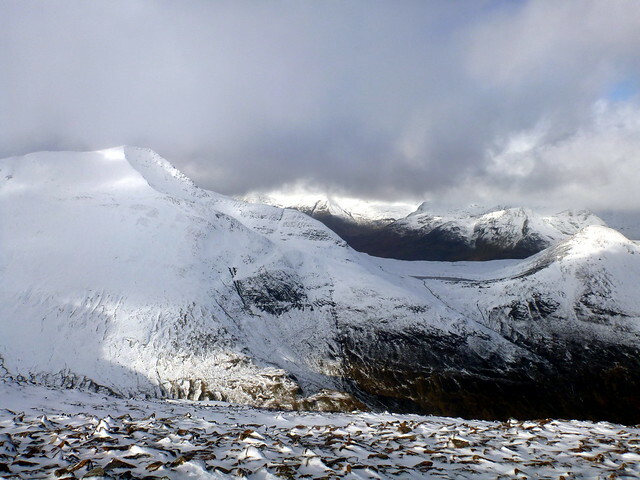 , some grand photos there a bhalaich . 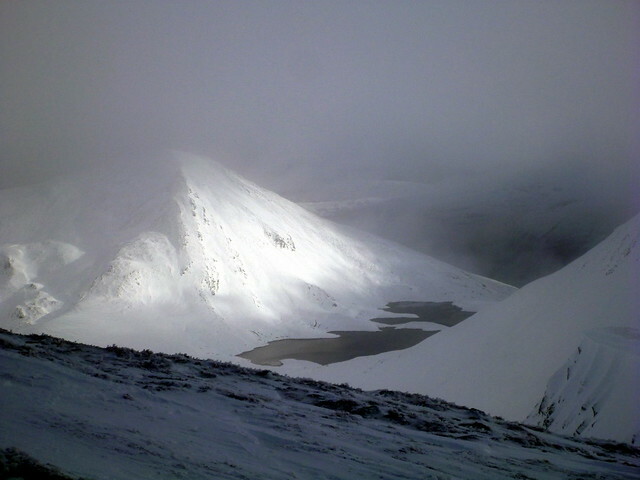 weaselmaster wrote: SEM looked surreal – a white pyramid atop a black lochan with a splash of sunlight illuminating it through the thinning mist. Yes, I know - I've got a few shots of that too! Epic report Alistair and glad I could make a wee cameo appearance in one shot too! After the big snow conditions up top on Saturday, I am now snowed under at work so goodness knows when I'll turn my attention to my report! Great report as always, Al! 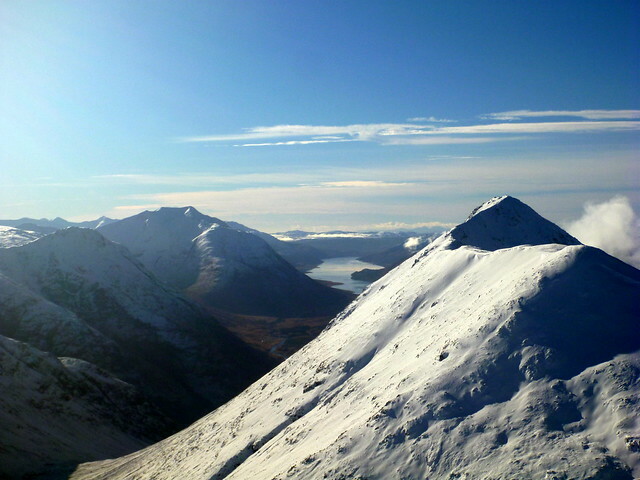 Superb photos to fill me with jealously that I don't get out until at least the 24th (maybe) or definitely the 1st Dec! 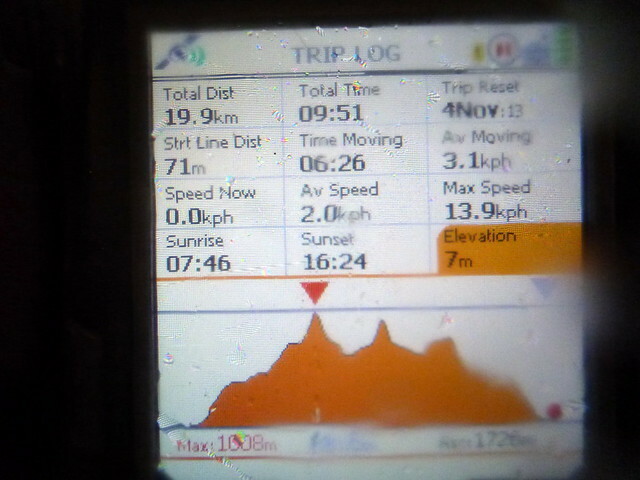 For not feeling 100% you still managed 3 good hill days. It seems you organised a cracker of a weekend so well done. Lets see where the next meet will be and hopefully I'll make it. This is disappointing . The essence of these meets has always been one of "everyone doing their bit". 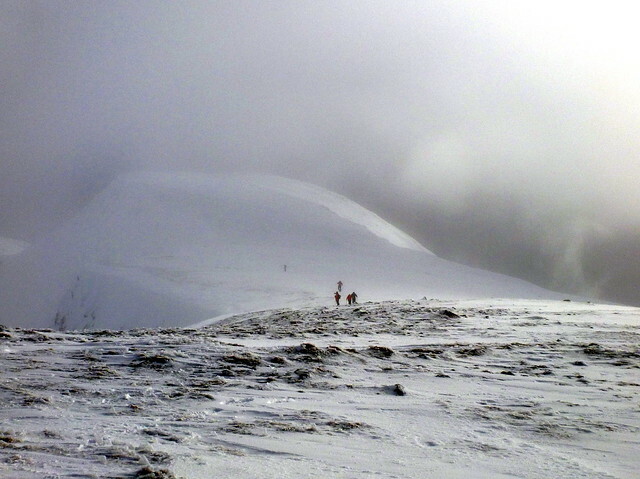 Perhaps some folk were a bit too keen to hit the hills on Sunday - not that that is an excuse. Anyway, belter of a report and pics . Chances of the rest of winter being like this... ? Not only can you organize a great meet...your pictures are not bad either! mountainstar wrote: Not only can you organize a great meet...your pictures are not bad either!